Heineken has launched a Twitter-based tool that offers nightlife recommendations, based on an algorithm that calculates which experiences are popular in real-time. The @wherenext tool uses an algorithm to analyse social activity such as posts, check-ins and photos, from social media platforms, including Twitter, Instagram and Foursquare. It has been developed with the digital agency R/GA London. Users can tweet @wherenext with their location and the service will respond with local recommendations on what events and venues they should attend. based on what’s "hot" on social media at the time. The recommendations are created automatically using the algorithm, but conversations around the tweets will be monitored. Heineken developed the platform after research found consumers experience "fear of missing out" (FOMO) on experiences in their city. The platform is part of Heineken’s wider "cities of the world" campaign, which launched in May and includes a two-minute TV ad and special edition Heineken bottles with prints of six global cities on them. 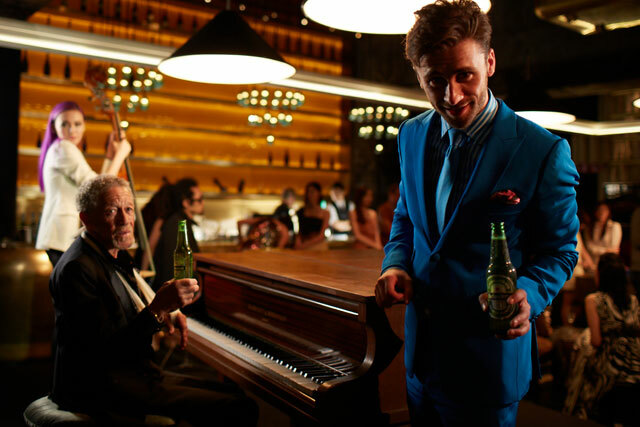 Gianluca Di Tondo, the senior brand director on the global Heineken brand, said: "We boldly break away from traditional beer-marketing approaches to create stories that inspire people to be courageous and aspirational. "@wherenext and cities of the world is the latest iteration of Heineken strategy, using rich consumer insights to respond to their desires to explore the great adventures in their cities." The @wherenext too will also be tested live in a "televised social experiment", where users must find the best experiences in three cities. Details of the event have not yet been announced.